One to the most pronounced and damaging impacts of offshore finance in London is the housing crisis. 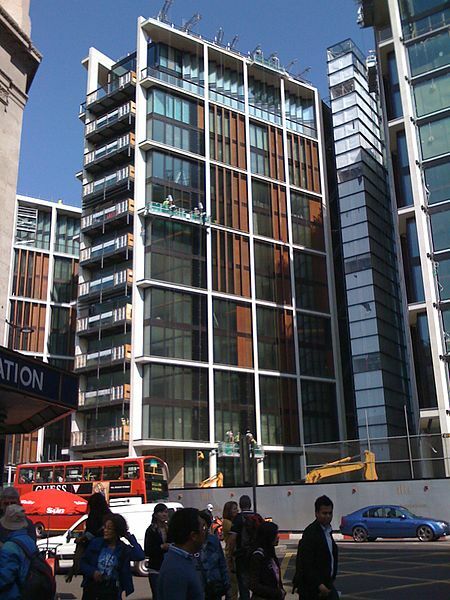 In London a home is no longer a home, but an investment product. The offshore system allows questionable money from all over the world to be effectively laundered through the UK property market. Despite government attempts to rein in the excesses of the system the modest tax increases on property held by offshore vehicles have not had an impact. Holding property in the UK is still cheap and prime property remains an attractive commodity for those looking for a place to stash their cash. The distortions created by this trade on the UK’s economy are devastating, as pointed out by the Observer. Many people fail to realise that this transformation is not a simple by-product of uncontrollable market forces: it is planned. London has rules to compel housing developers to build affordable housing, but no one is enforcing them with any real vigour. Instead planning permission is regularly granted to housing developments that do not provide sufficient affordable housing. This permission is in the gift of Local Authorities and the Mayor of London. A large amount of land in London is in public ownership. Instead of selling to a developer at a price that allows them to deliver affordable housing to Londoners, public authorities sell to the highest bidder, who then claws back the money by building exclusive luxury developments. Offshore is often both the highest bidder as well as the source of the demand for luxury homes. Londoners are cut out of the loop. But Londoners can and should demand that their public authorities enforce their own rules and make better decisions for the benefit of the people they serve. In the short term this may mean that public authorities need to accept lower returns on their assets. In the long term, this will benefit them and the city. Three years ago I started a campaign to stop a developer from building yet more luxury flats on the former headquarters of the London Fire Brigade. The development, which would have put a glass penthouse on top of a historic building (against the wishes of English Heritage, the body set up to protect historic buildings), contained almost 300 new flats, but only seven percent would be classed as affordable. The land was owned by the Fire Authority and the developer was a mysterious Limited Liability Partnership. There were partners based in the Isle of Man and the British Virgin Islands. One partner, a solicitor based in the UK advertises their services as “tax management and the protection of privately owned wealth.” The clients are high net worth individuals (HNWIs). The Fire Authority said that they could not disclose the identities of the people behind the partnership because they didn’t themselves know. They had not conducted any due diligence. They also could not tell us anything about the deal as they had signed a confidentiality agreement. So we fought, and to cut a very, very long story short, we won. A local issue, yes. Will it bring down the offshore system? Certainly not. But a step forward in the right direction, and an important reminder that the problems caused by offshore need to be raised at every level. From local government councillors to the PM. Bang the drum hard – and decisions makers will start to listen.